Hi everyone! I have another card to share with you! 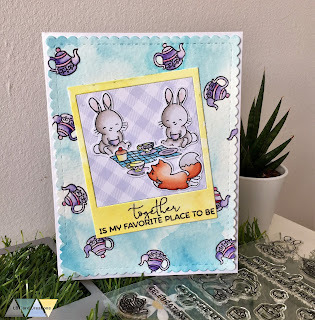 I used Mama Elephant stamps and dies again to create a sweet friendship card. For the background I stamped the tea pot images from 'picnic with friends' several times and colored it in with my watercolors. For the rest of the background I had chosen a soft blue color before I diecut it with the 'all prettied up' die. I also used the watercolors to color in the 'polaroid fun' diecut. After stamping the images I used my Copic markers to bring them to live. The little scene is on top of a lilac pattern paper. 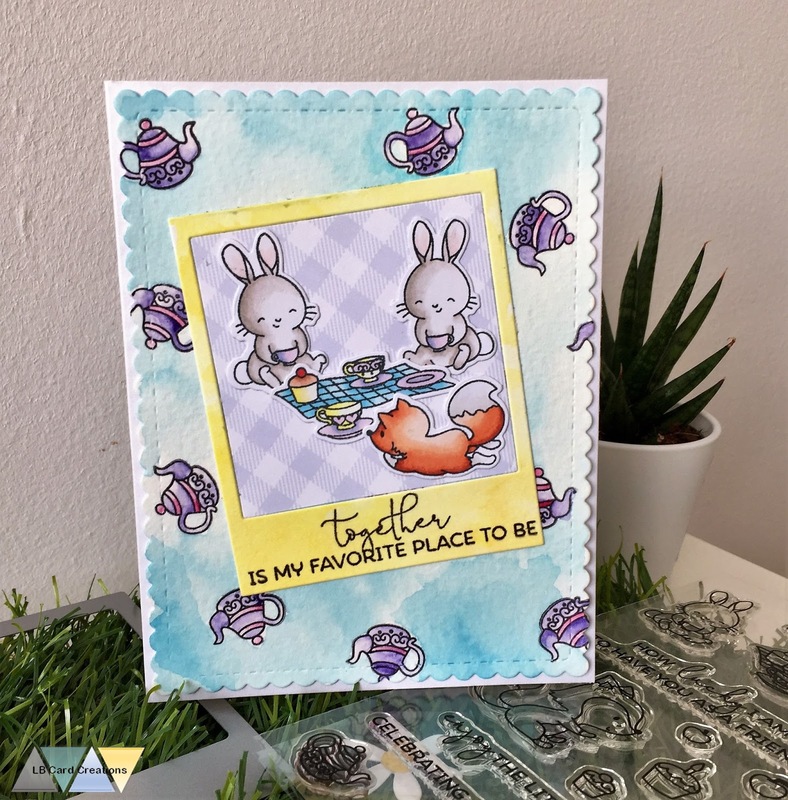 I added the sentiment and adhered everything to a white iridescent card base. The images are just too cute and the scene is so happy and peaceful. Thank you for stopping by and have a wonderful, happy day!